Sorry for the poor lighting, but my place has no ceiling lights, so it makes taking pictures at night a little difficult to do. 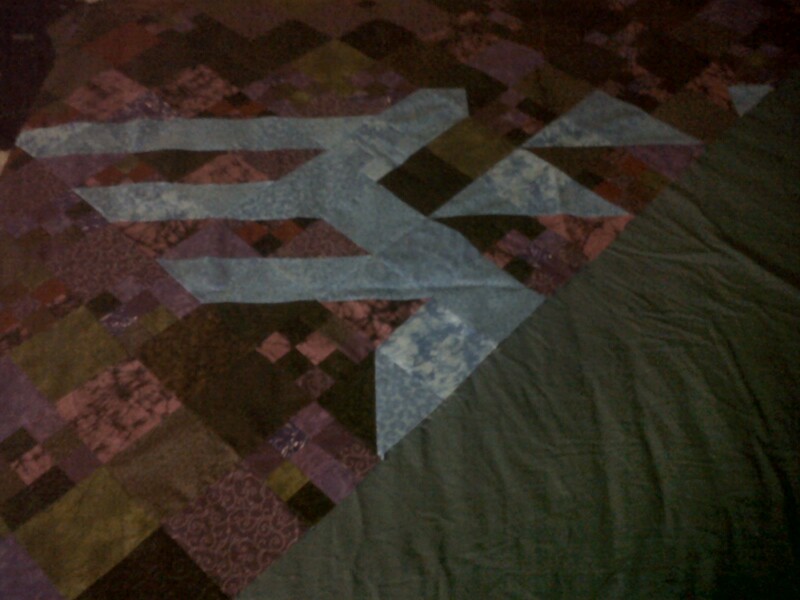 I’m making myself a Zelda Quilt! I haven’t made one for myself and I wanted one. It is my Christmas present to myself! I’m doing the turquoise for the bird and triforce. I think it’s going to turn out pretty darn awesome! ← Hurried Up And Finished This Today!